Have you ever wondered about the health of your heart? 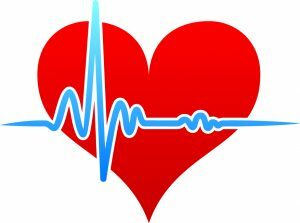 Your heart beats about 80,000 times every day of your life, all the while enduring our high stress lifestyle, poor diet and often sedentary lifestyle. It is a good idea to understand how your heart is working, as coronary artery disease is the leading cause of death worldwide, accounting for over 7 million deaths each year, more than any other disease. Now there is an option that can be done at MindBody Medicine Center with no dyes, catheters, or radiation. 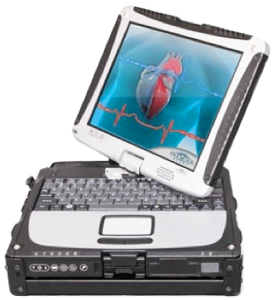 It is called a Multifunction Cardiogram (MCG). The MCG is a revolution in medicine as it offers an easy and inexpensive method to detect coronary artery disease and other forms of heart dysfunction. It is fast, accurate and cost $300. The MCG is like having a regular ECG as it requires some electrodes placed on the chest and extremities. However, the MCG uses advanced signal processing analysis which runs time-domain and frequency domain data into a database for comparison. The report reveals local or widespread coronary artery blockage and ischemia in mild, moderate or severe gradations. When compared to traditional methods MCG has consistently been shown to be more accurate and able to detect ischemia at earlier stages, enabling doctors to help their patients earlier in the disease process and thereby save lives. The results from MCG have been validated in double-blind clinical studies where the system has demonstrated accuracy comparable to coronary angiography (90% overall sensitivity, 85% specificity). This level of accuracy comes from the application of advanced techniques in signal processing and systems analysis combined with a large scale clinical database which allows MCG to provide quantitative, evidence-based results to assist physicians in reaching a diagnosis. Your heart was not designed for a high fat diet, sedentary lifestyle and the constant stress of modern life. The risk factors for heart disease progress slowly and silently, day after day. Now you can easily assess the health of your heart and take lifestyle and mind style steps in prevent and reverse coronary artery disease, using the MCG to monitor your progress.